My drive home from school today took less time than I expected, and I had exactly ten extra minutes before I had to pick up my oldest daughter to take her to the gym. Given the fact that I was still five minutes from home, that left me with exactly five minutes of spare time. What could I possibly accomplish in such little time? I stopped at Goucher College (near my home), went in the direction of the pond on campus with camera in hand, and remained receptive to what might present itself to me. 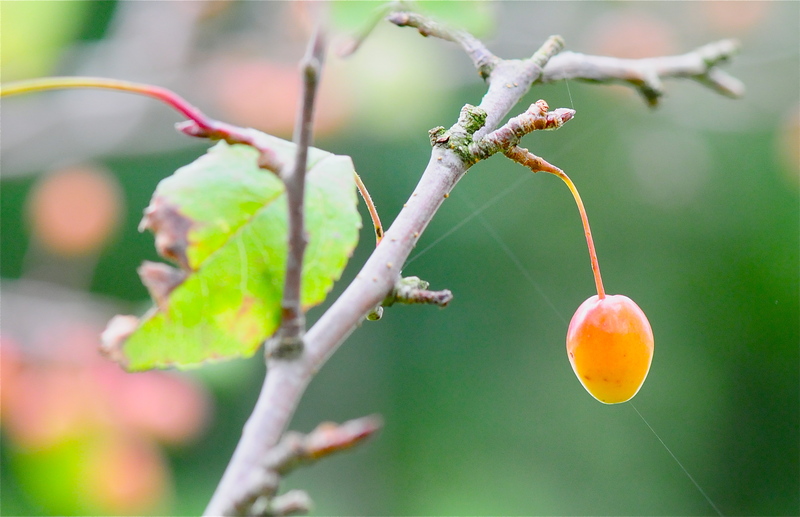 I was struck immediately by the brilliance of a single fruit dangling from a dying tree. After shooting five frames in under a minute, I wandered further down toward the pond. 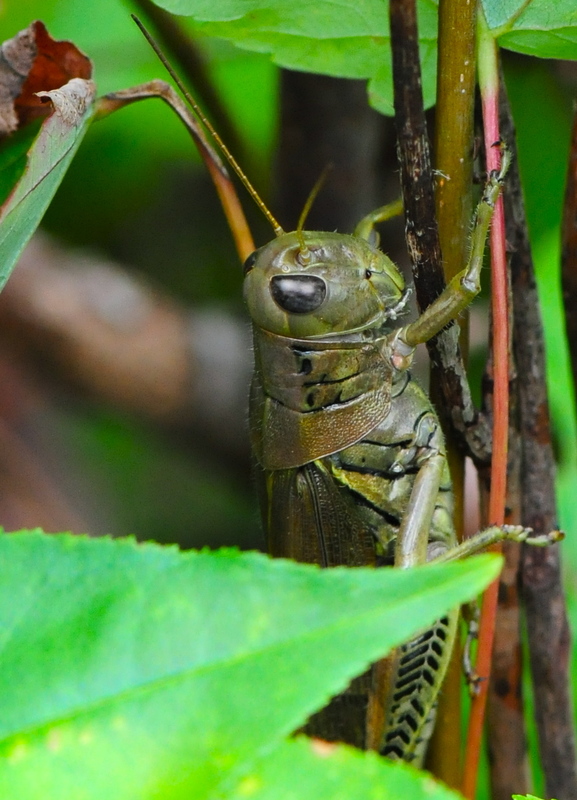 I disturbed a grasshopper in the tall weeds, and I followed him to a blade of grass (below). Fired off another 8 shots (took two of the tall grasses blowing in the wind), returned quickly to my Jeep, and headed home. I was a little disappointed. I arrived home a minute early. I wondered what else would have presented itself if I had spent that minute at the pond? ← We Are Writing More Than Ever, Or Are We? Well, I like the shots! Great light in the first one, and really nice closeup of the grasshopper. I should make such good use of my extra minutes.